Homewarhammer30kAdeptus Titanicus – Is the Cost of Battle Too High? 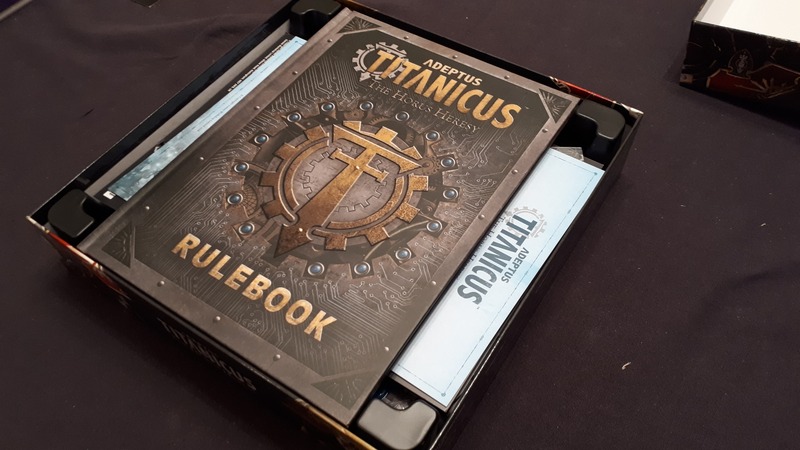 Adeptus Titanicus is a name that has been ringing loudly for some time, as I recall laying eyes on it at Warhammer Fest. Since its conception back in 1988 its plasma reactor seemingly overloaded and in a blinding flash it disappeared for a lifetime. Now, 30 years later, it is stomping its way back onto our kitchen tables with city-killing weapons firing on all cylinders. There’s certainly been quite the noise in regards to its return and, most-reportedly, on its price. We’d surely expect the gigantic war-machines of the God-emperor to come at a high cost, but is the cost too high? 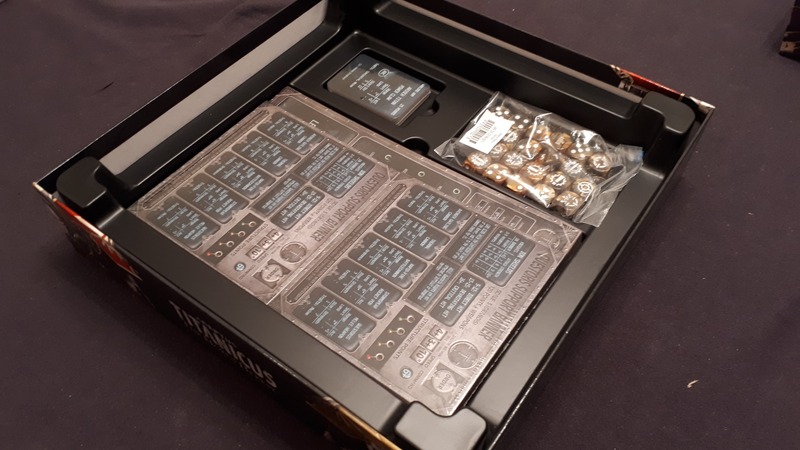 With the Adeptus Titanicus: Grand Master Edition coming in at an eye-watering £175, let’s look into how viable this is as a box for its cost. Let’s assess what’s on show. Should you wish to play, you’ll need the essential rule set box. In a bizarre twist, the rules set comes completely independent of any of the miniatures you’d need to play. It comes at a cost of £35 and is, in honesty, at a somewhat fair price considering the contents. The rulebook itself comes in at 97 pages, all colour printed on some very firm paper. It’s size is more akin to a codex than rulebooks of other Games Workshop systems. However, it’s a wonderful-looking book packed full of information. It includes basic, advanced and optional rules along with how to assemble a battlegroup, what strategems are available and more. The open, matched and narrative play options have hopped over from Warhammer 40,000 and Age of Sigmar to give players an option of how to run their games. The book itself is a good benchmark against which to gauge the rest of the product line. The rules set also comes with the old, familiar templates from game systems and editions of the past. There’s a cluster of dice for various purposes, transfers and a measurement gauge to boot. Also included are the turning/arc gauges and some nifty little battlefield assets. A nice inclusion and the closest thing you’ll see to a model in the box. The necessary gameplay components included come in the form of the Titan Command Terminals. These cards help you to track and maintain your titans in the heat of battle. I’m a fan of the look and feel of them as it cuts down on the need to spend minutes at a time flicking through a book. All you need to know about your battle machines is laid out before you. There are separate cards to use with the terminals to determine their weapons, too. The rules set box sets the bar particularly high. The price considering the content feels about right with the quality in mind, but let’s see what else we need to start playing. 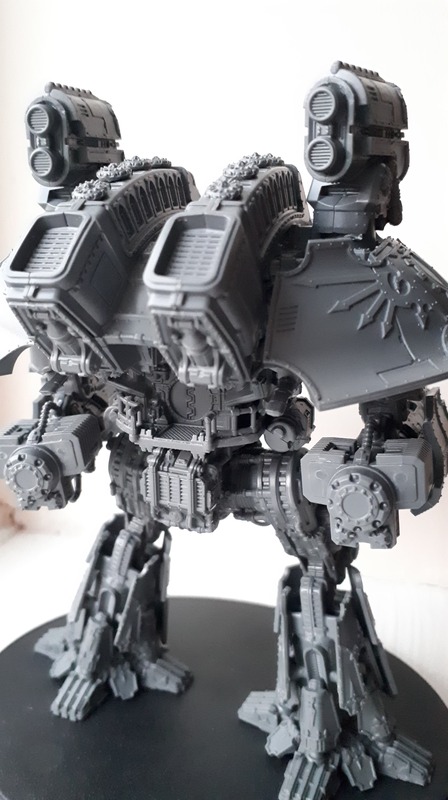 The models available at launch include the iconic Warlord Titan alongside some Titanicus scale Questoris Knights. The Warlords come one-in-a-box and are available for £65. This means that should you and your opponent wish to jump into the game you’ll be forcing out around £165 to get the rules and two Warlords. On paper, this sounds ludicrous. This is the absolute basic Adeptus Titanicus experience with no scenery, no terrain, no Imperial Knights. I cannot see anyone in their right financial mind going down this route. Thus, in walks the Adeptus Titanicus: Grand Master Edition. As mentioned, it’s coming in as Games Workshop’s most expensive boxed game ever at £175. However, when you break it down and look at the components, the price does make sense. 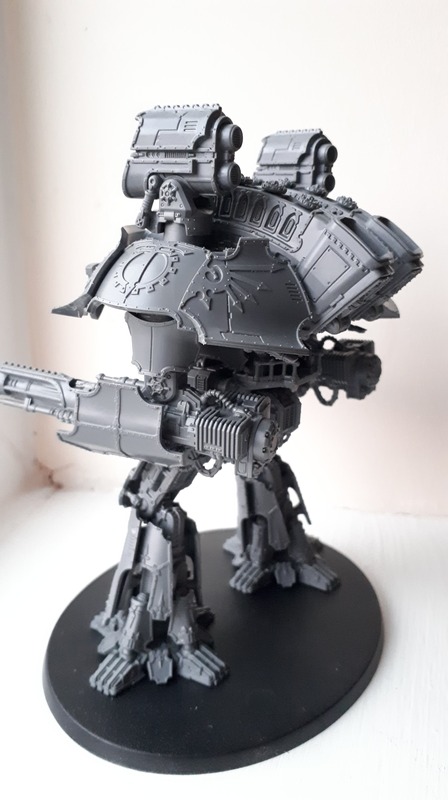 Two Warlord Titans (£130), six Questoris Knights (£40), the rules set (£35) and some Imperialis Sector scenery (£75). This totals up at about £280 at the cost of individual items. If you can clamber over the high price point, the savings are extremely significant. Especially if you, as encouraged by Games Workshop, purchase the box with a friend and split the contents. Looking further into the price of the box, I can absolutely see the audience who will likely go all-in. Those nostalgia-blinded, more mature gaming veterans who fondly recall Adeptus Titanicus with more expendable income than back in 1988. Will they be willing to hand over the cash to jump head-first into these titanic clashes? I’d wager that absolutely they would. The models themselves are of breath-taking quality and detail, which justifies their cost to an extent. The Warlord Titan may be closer to the cost of Great Unclean One for Age of Sigmar, but there’s an untold level of detail to this kit. Whilst I can’t sit there and gleefully hand over the money for the Grand Master Edition, I can appreciate the price is fair. Don’t be put off at first glance, judge a box by its content, not its cover. There’s some issues with the price which will be tough to overcome. I imagine that due to its high cost finding games would be quite difficult. 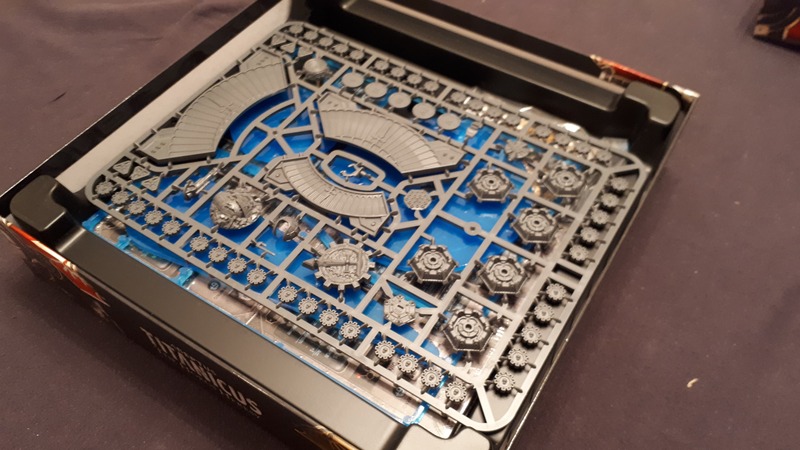 This isn’t Shadespire or X-Wing that the majority of hobbyists can grab and jump into. If you buy the game solo then you may struggle to find hobbyists able to also invest into the game. This would certainly leave me somewhat disheartened, paying such a high price for the game with nobody else being able to dive in. 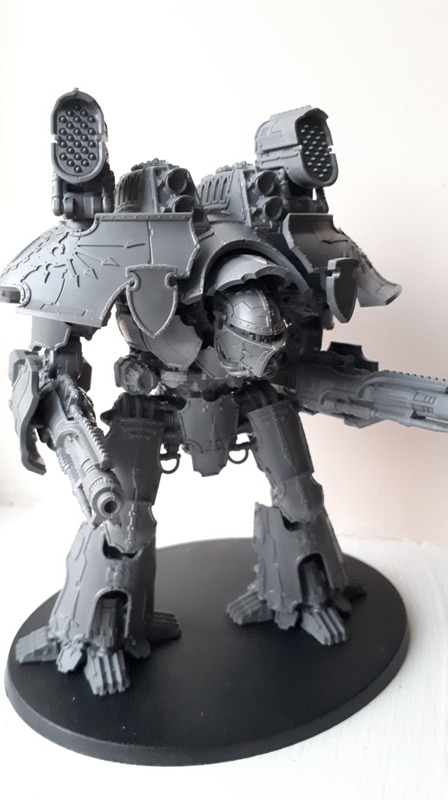 There’s also further models coming down the line with Warhound and Reaver Titans arriving imminently. Another concern is that I’m told there’s no plan to focus on non-human models at this time either. This gives me grave concern for the replayability and longevity of the line. I know that further weapon-upgrade and options will be coming out in the future. Though, admittedly, I don’t know how much fresh air that could breathe into the game in 12 to 18 months time. This should all be considered when the cost of investing is so high. I’m still riding the Warhammer 40,000 8th edition train. I’m also drinking deep from the chalice of Age of Sigmar 2nd edition. 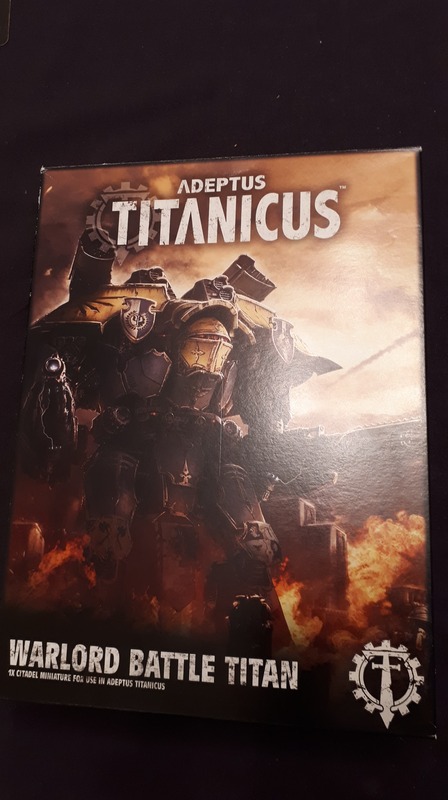 For me, personally, I’m likely not going to invest so deeply into Adeptus Titanicus. As someone who is only mildly keen on the setting, yet adoring the models, I’m going to invest my hobby-bucks elsewhere. 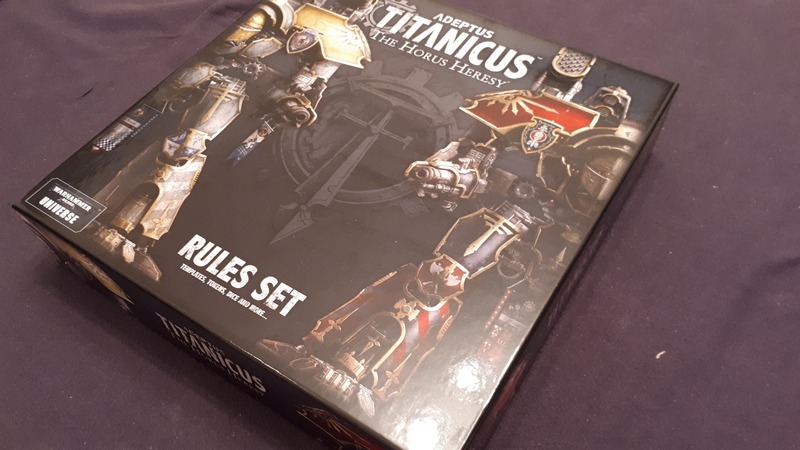 However, Adeptus Titanicus seems to be for those of you who have a little more money than you know what to do with whilst wishing to recall a fond memory of your childhood. To those of you who will be picking up the Grand Master Edition on day one, I bid you happy rolling and would love to know how you find it. Maybe I’ll have my mind changed? Providing I find someone willing to go halves on the box, of course. Be sure to keep checking back with us here at Tabletop Games UK for more news and updates. Of course, you can check out our Facebook, too! I wanted to buy it but I expected it to be priced like other starter boxes. I am boycotting this game. every single item they are releasing for it is overpriced and I don’t see any bargain with the grand master box for that reason.